November 8, 2017 - An update was required for the November 7, 2017 game patch. The updated mod should work for any game version, including older ones. February 7, 2016 - Finally added an "Even Darker" option. It's a little too dark for me, personally, but I know quite a few people wanted one! 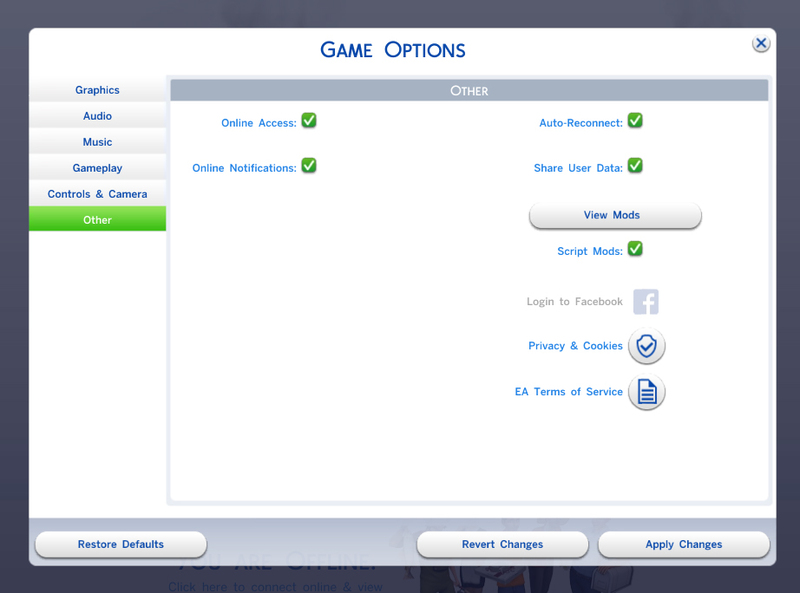 This is yet another modification to The Sims 4 to change something that bugged me. Hopefully others will also find it useful! 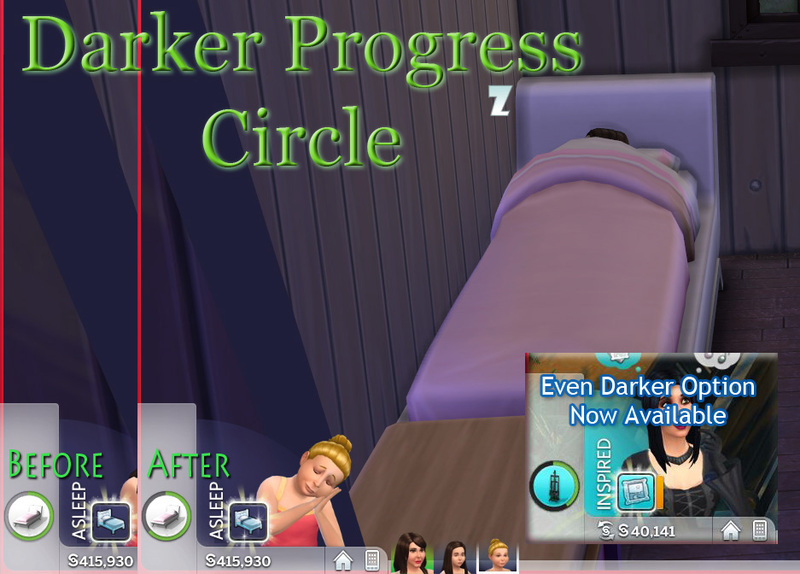 This mod overrides the progress indicator circle user interface image in The Sims 4 to make the background of the circle darker. This makes it easier to see the progress of an ongoing action. 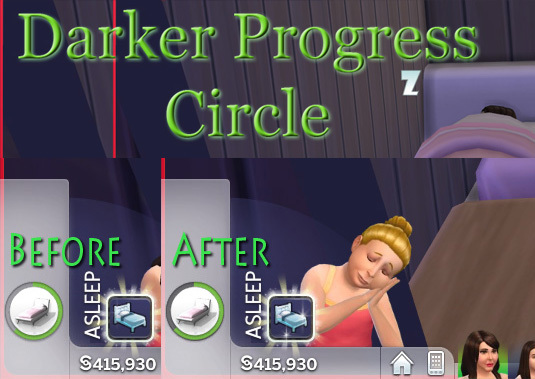 This simple change makes the progress circle dramatically more visible, as can be seen in the before-and-after screenshot. This mod WILL conflict with any other mod which alters the current action portion of the screen. A conflicting modification may result in a game crash on load. This mod is tested to be compatible with the "pools" update of The Sims 4, version 1.2.16.10 (Nov. 4, 2014). It will likely work with any version of the game, but may cause graphic errors or crash untested versions of the game. If a crash occurs, it will occur when the first household is started and should not affect any save games - simply remove the mod and all will be fine again. Please report any incompatibility with a game update if one occurs. For those interested in changing other graphic resources in the user interface, I used Photoshop with the latest (v8.55.0109.1800) of the NVIDIA dds Format plugin. This particular resource required converting to 32-bit from the NVIDIA DDS Read Properties dialog when imported to Photoshop. It also requires saving as a 3Dc XY 8 bpp Normal Map with the No MIP maps option selected. 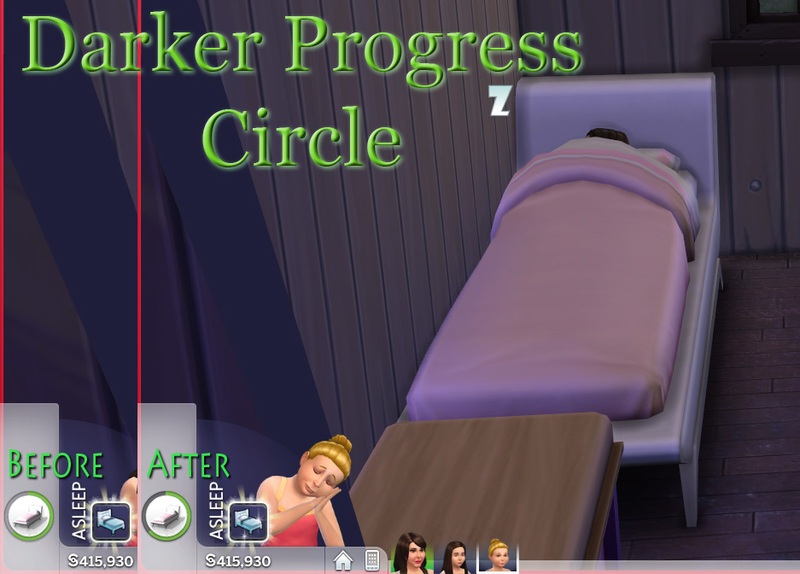 DarkerProgressCircle.zip | Description: Darkens the background of the progress circle to make it more visible.